Presented and researched topics: "Smoking and E-cigarettes & how it affects dental health" & "Oral hygiene products on the market today"
Why Pick Dr. Shalini Sethi? 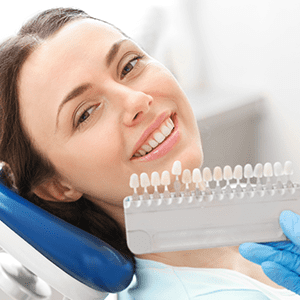 Get you perfect Smile Today! Doctor Sethi is proud to offer the All-on-4 one-day dental implant procedure! Shalini Sethi, DDS is a periodontal and implant specialist in Maryland. 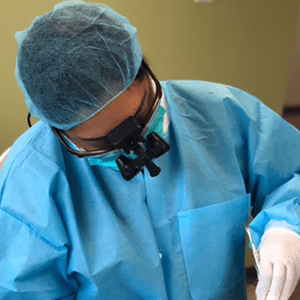 She earned her bachelor’s degree in microbiology from the University of Maryland at College Park, then went on to earn her Doctor of Dental Surgery degree from the University of Maryland at Baltimore Dental School. While in dental school, Dr. Sethi received numerous recognitions for her academic achievements, including being selected to participate in a cleft lip/palate outreach program with Operation Smile in Vietnam and the Dominican Republic. Dr. Sethi also completed a general practice residency at the Miami VA Hospital, and she continued with a specialty fellowship at the University of Pennsylvania’s periodontics program. While there, she received extensive training in all aspects of periodontal surgery, including dental implants and oral cosmetic surgery. Dr. Sethi practices with the intention to provide personalized periodontal care in a relaxed, professional atmosphere. When she’s not helping patients, Dr. Sethi’s hobbies include traveling, fitness and wellness, reading, and spending time with family and friends. A dental implant is one of the most common ways to fix a missing tooth and to prevent the structural disintegration of the surrounding teeth and bone that can occur when you lose a tooth. If you have loose-fitting teeth or no teeth at all, Teeth Express dental implants can help. With this innovative technique, you can permanently replace missing teeth with a fixed-bridge, multi-tooth implant on both the top or the bottom of your mouth. To learn how the Teeth Express system can save you time and money, visit Shalini Sethi, DDS at her Baltimore office. Call today or book an appointment online. Shalini Sethi accepts most major insurance plans. Here is a short-list of some of the most popular plans we accept. Please contact our office if you do not see your insurance provider listed.